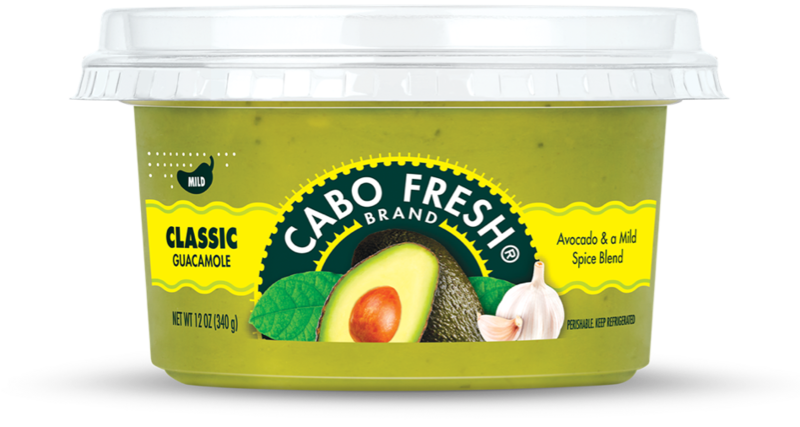 A gentle ocean breeze, waves caressing a white sandy beach, and the savory taste of our Classic Mild Cabo Fresh Guacamole makes any day delicious. 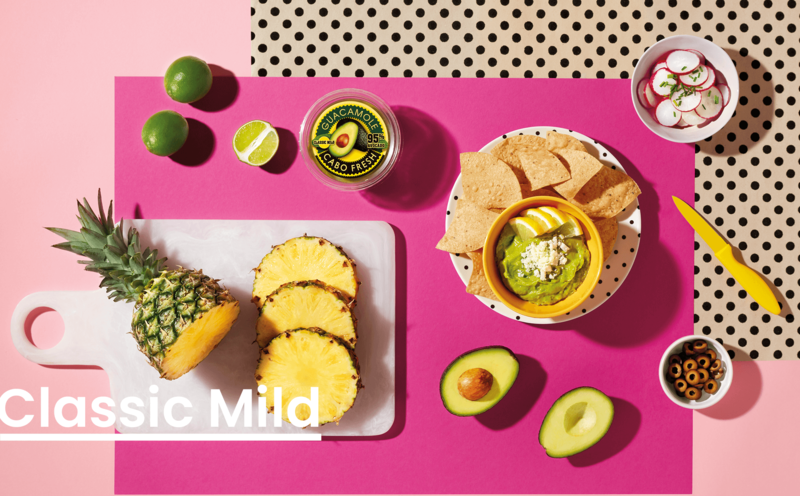 With an irresistible mix of mild garlic and made with premium 100% Hass avocados, our Cabo Fresh Classic Mild is the go-to guacamole for snacking, as a dip, or a delicious addition to favorites like fajitas, tacos, sandwiches, salads, and more. 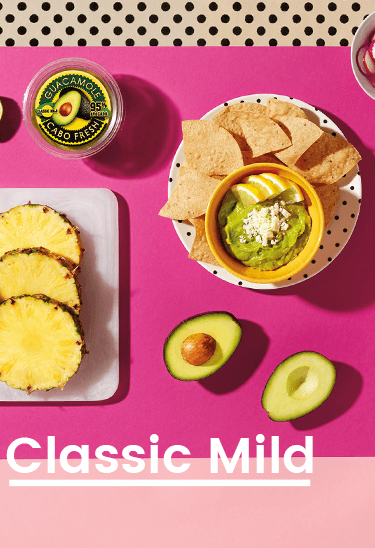  Gluten-free and Kosher, it's available in 12oz tubs and Single Serve 4-Packs.